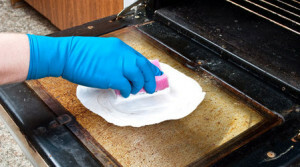 Cleaners London is experienced in providing professional oven cleaning for every region of London. Don’t hesitate to contact us at any convenient for you day and time, including weekends and even official holidays. Our team is fully trained to give your oven full clean and make it shiny again. We are providing professional oven cleaning! Very happy with the job your cleaner done, my oven is like new! Kitchen is that part of the house where you spend a great amount of time while preparing a dinner or a snack for the kids. Although you try to keep it as clean as possible, the good look of the appliances outside doesn’t necessarily means that they are spick and span inside. We will help you. Just call us at 020 3475 8344. Book Your Oven Cleaning Now! Deep cleaning of all the removable and non – removable parts of the oven respectively the light bulb protector, door, buttons, hob parts etc. Our cleaning experts are going to apply the latest cleaning detergents and supplies. It is important to note that they are powerful but since we are an environmentally concerned company the toxic and harmful detergents are kept to the minimum. Your kitchen appliance will be taken an utmost care of. Rest assured that there won’t be any damage at the end of the cleaning procedure. If you still fear possible damages, you would be delighted to know that there’s an insurance included in the oven cleaning package. We take pride in maintaining the most reasonable price rates in the vicinity of London and according to our customers the quality is simply outstanding. The procedure is fast and hassle – free. As we are positive that you will be amazed by the new look of your oven, we would like to recommend taking advantage of the rest of our cleaning services such as deep cleaning that will make your house germ free and fresh – scented. Feel free to contact our representatives and get a quote. They will be delighted to lead you through the booking process in a relaxed and friendly manner. Unless you have the proper cleaning detergents and equipment you can hardly deal with the dirt on your own. We don’t expect you to be a cleaning expert but you were lucky to come across the best cleaning technicians in London who can make your oven spotless in no time.